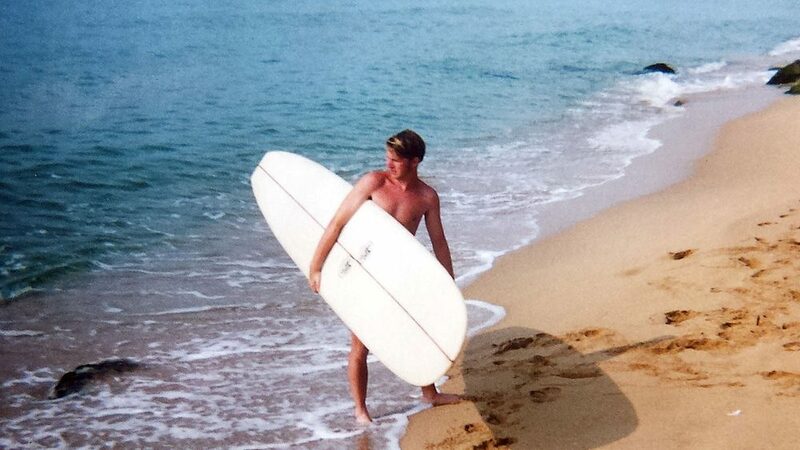 I started surfing in the very early 90s when I was just thirteen years old. 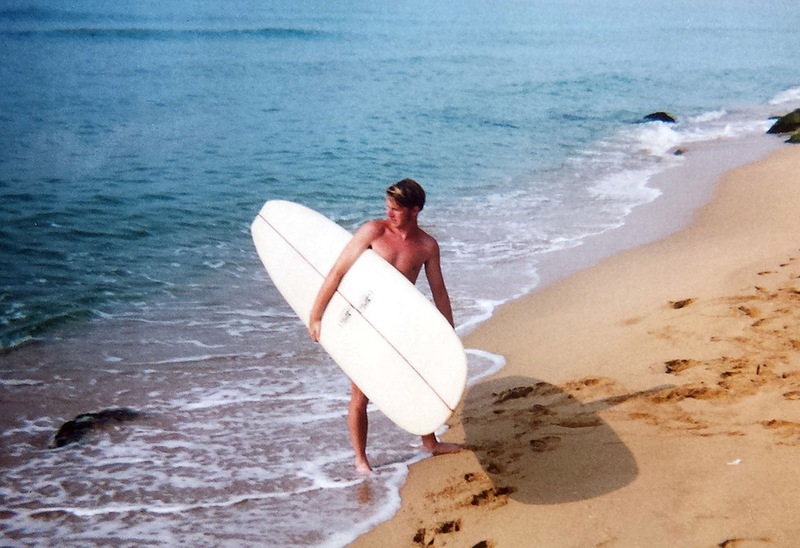 First catchin’ waves with a bodyboard and graduating to stand up surfing when I was sixteen or seventeen. 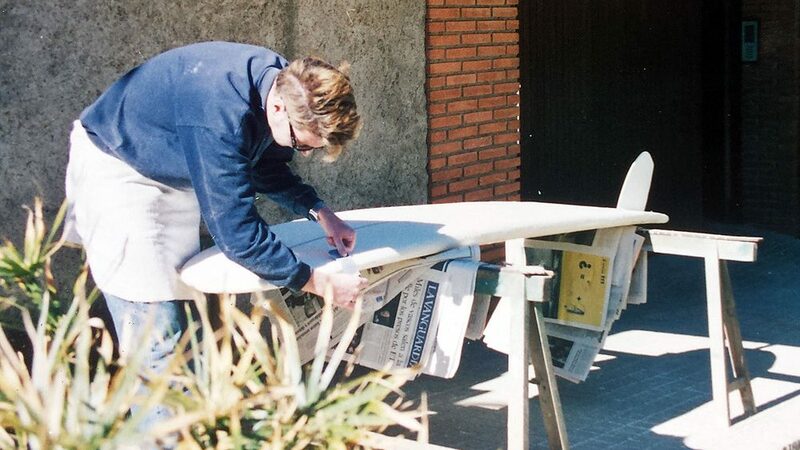 I ordered my first surfboard in the mid 90s. It was a 2’5 meters (in Spain in those years the length of a board was measured in meters), narrow and with lots of rocker. An three-finned, of course. Great for a beginner, but an aberration for a teen obsessed with 60s era surf culture. 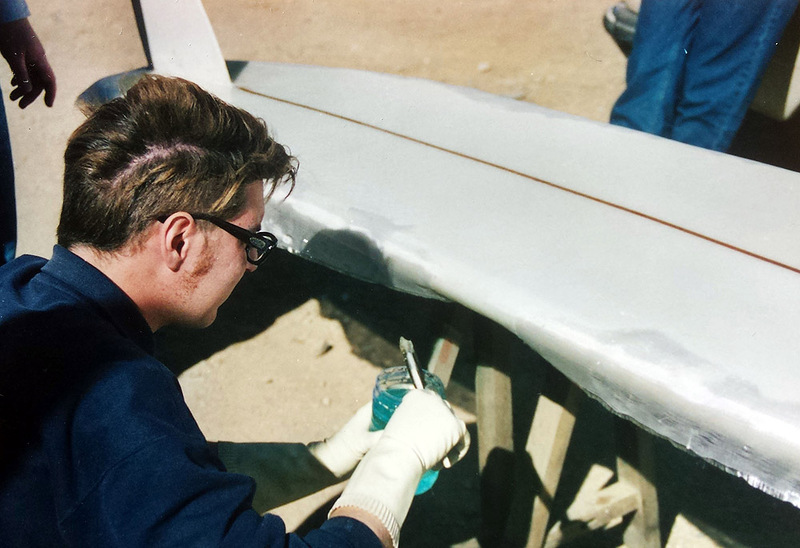 I wanted a 10 feet board from the very beginning, after watching and rewatching “The Endless Summer” and “The Big Wednesday”… I knew for sure, if I ordered a surfboard in the 1.963 style no shaper would had a clue. 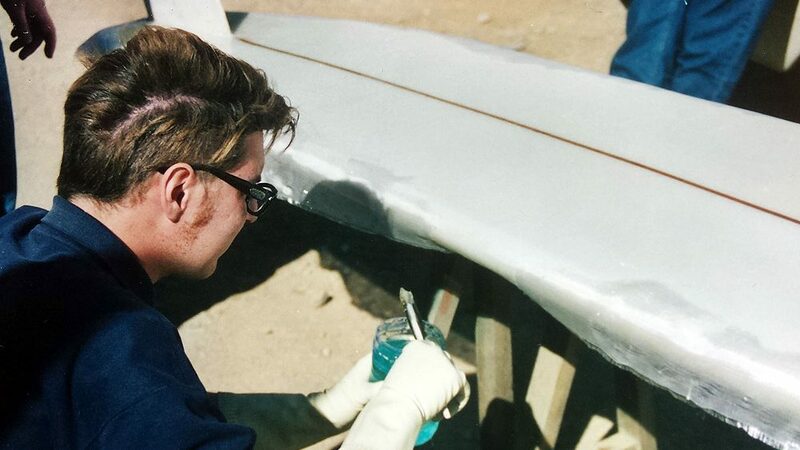 So in the summer of 1.998 I got a Walker foam from a local surf shop and started to shape with the only technical input from an old Longboard Magazine issue. The lamination process was sticky and painful: no swaylock.com, no youtube tutorials. 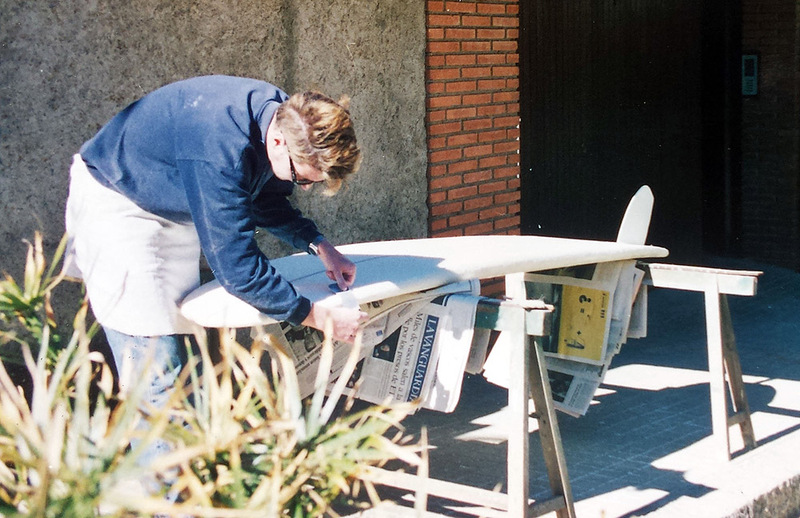 After many familiar issues (no mother wants polyurethane foam in the hallway or drops of resin on the wooden floor), the board was inaugurated oficially during my first visit to France in the summer of 1999.